In the Philippines, many people are suffering from diabetes primarily because we love sweets and other sugary foods. Studies reveal that in 2016, 1 in every 5 Filipinos is diagnosed with diabetes, which is very alarming. A lot of people aren’t allowed to consume a lot of sugar, and that’s why many sugar alternatives have been introduced into the market. Basically, there are different types of sugar, the most common being white and brown sugar. However, there’s more to that! Sugar texture and its raw materials are a few of the general factors that significantly affect our health. 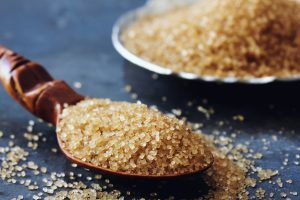 In this article, we will give you a list of the top 10 best sugar alternatives that you can enjoy without worrying about your blood sugar level! 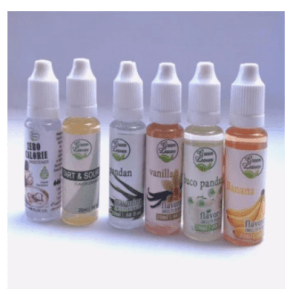 Before we give you the recommended list of sugar alternatives, it is best to let you know the important factors you should remember when buying your sugar alternative online. Although these factors are greatly significant to those who are suffering from diabetes, those who are non-diabetic Filipinos are not an exception. The types of sugar that are rich in minerals are those that are brown and cracked. So for those who like using white sugar, better start switching to brown sugar now! Imagine the many nutrients you can get from 100 g of brown sugar. You’ll eventually obtain 1.3 mg iron, 3.9 mg phosphorus, 23 mg magnesium, 85 mg calcium, and 100 mg potassium. You don’t want to miss these, right? So choose those that contain these helpful minerals! 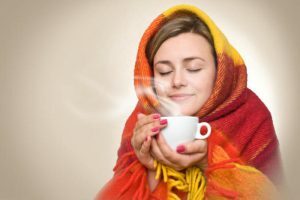 When we say an “appropriate body temperature,” this means adjusting your body temperature to an “ideal state” where you feel comfortable regardless of the weather. The Philippines only has two seasons – the wet and dry. If it’s the summer season where you’ll sweat all day, you’ll eventually need something refreshing that cools down your body. This is where sugars made from sugarcane come in, which creates a cooling effect in your body. On the other hand, when it is time for the wet season where we can really appreciate the cold breeze, hot drinks are always beside us. Sugars made from sugar beet are our savior. Adding these sugars to your hot drinks in the morning and afternoon will always make your day! If you want to sweeten up your hot drinks healthily, then index unrefined sugar at home. The raw sugar has molasses that are rich in iron. Copper, sulfur, and fructose, which enhance absorption, are also present in the raw sugar. 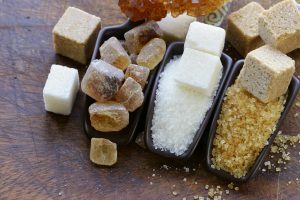 What’s even more interesting in unrefined sugar is it does not only contain multiple minerals but it also produces a delightful taste with a slight caramel flavor. You don’t want to miss out on a sugar that tastes like caramel, right? Nevertheless, unrefined sugar is surely a perfect addition to sweeten things up! Consumers always look at the brand no matter what. This scenario is also true in our country. Because this is sugar and we take this into our body, we don’t want to decide carelessly because our health will be at risk. Just simply check the brand of the sugar alternative you are interested to buy if it looks trusting. It’s always safer to check out first the leading brands in the market because they ensure good quality than unknown brands. You can look into brands such as Equal, Splenda, and Green Leaves. Also, you can do your own research online and review the background of the brands you are eyeing on. There are a lot of reviews online about these products that you can get ideas from. Research does take time, but you can learn a lot from simply browsing the Net. So have you thought about which brands sound trusting? At this point, we will now introduce the top 10 best sugar alternatives in our country. This list will help you get a good understanding of which options work best for you. This sugar lets you enjoy a guilt-free sweet life primarily because it contains no carbs and calories. It also helps people lose weight and who are on a diet. The sugar is a wonderful choice for people with hypertension and for those who want to maintain a good oral health as well! The box includes 40 sticks of sweetener where each stick is equal to 1 teaspoon of table sugar. You can also have fun with it in your food and taste a sweet madness! However, it may not be ideal to store in places near beaches because it will harden after 1 month or so, which makes it difficult to melt. 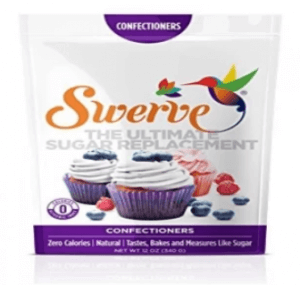 The Swerve Sweetener provides a powdered sugar alternative without you worrying about calories! It is a fantastic sweetness you can add to your baking dishes likes cakes and cupcakes. This is a sweetener for moms who like to bake cakes for their family and dessert chefs! It’s exceptionally made from a unique combination of ingredients obtained from mouth-watering fruits and vegetables. The sweetener does not have preservatives and flavors, which makes it safe and healthy. However, this sweetener has a little “metallic” aftertaste. 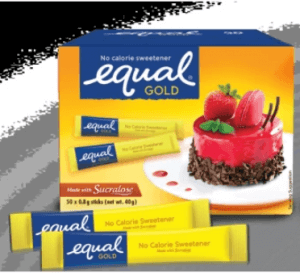 Sweeten your favorite recipes with Equal Gold without worrying about unwanted calories! This sweetener is ideal for people on a diet and who want to stay fit. The box contains 50 sticks where each stick is equal to 2 teaspoons of table sugar. It is also a great sprinkling ingredient to your fruits and an incredible flavoring to your dishes! Curious about aftertastes? Don’t be! Equal Gold does not have any as it is made with a clean and crisp taste. However, too much consumption of this sweetener may trigger you to seek calories from other sources of food. 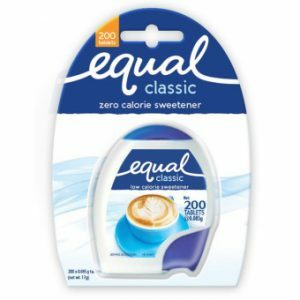 If you want something new to sweeten things up, have fun with Equal Classic Sweetener! It is in a tablet form where you can easily drop it into your hot and cold drinks. This sugar alternative is great for people who wanted to stay slim and fit because it has no calories. The pack contains 200 tablets where one tablet is equal to 1 teaspoon of table sugar, just right for your hot coffee! It is very handy too! You can bring it anywhere you want and add sweetness to your hot drink in coffee shops, restaurants, and others. However, it is essential to stir your beverage thoroughly until the tablet melts to make sure there is no remaining residue at the bottom before you consume your drink. With its versatility in replacing almost anything you utilize sugar with, this coconut sugar is an awesome addition to your kitchen! You can sweeten everything up like your favorite desserts, hot beverages, and even cereals. This is excellent for cooking moms who want the best foods and drinks for their family! It’s made from the coconut tree’s lower blossom, which contains naturally occurring minerals, amino acids, and vitamins. Adding to that, diabetic people are also safe from an increase in blood sugar level because it’s low glycemic. It’s also low in calories and is rich in health-boosting benefits that you can take advantage of. 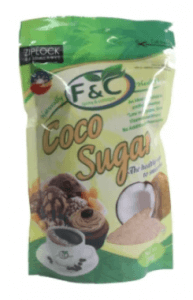 This awesome coconut sweetener is made from the flower bud stem’s sap of the coconut tree’s palm. It’s highly organic and natural that is packed with essential nutrients without preservatives, which is healthy for your body. 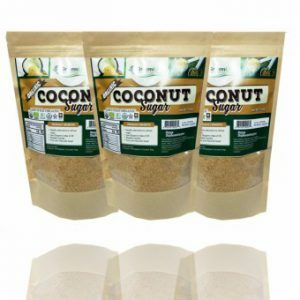 This coconut sugar is excellent for everyone in the family, from your kids to your grandparents! The sugar went through a natural process of heat evaporation after collecting the sap. It promises to bring healthy and delicious sweetness to the table, an ideal substitute for your sugar! 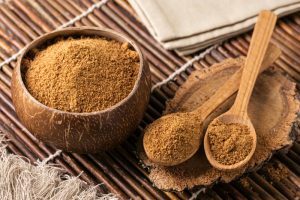 However, the color of this sugar may be different from your other coconut sugar from another brand, if you have one, as the color depends on the tree type the sap came from. 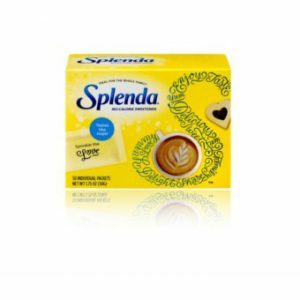 The box of Splenda contains 50 packets where each packet is equal to 2 teaspoons of sugar, comfortably packed in yellow packets. This sweetener is an excellent addition to your beverages and a great sprinkling ingredient to your favorite foods! It is for everyone in the family – teenagers, adults, and seniors! Aside from that, it has only 1 g of carbohydrates, and it meets the standards of FDA, a good option at home or anywhere! Please note, however, to sprinkle some amount of this sweetener when food is already cold as it sweetens faster at that state compared with hot foods. Overall, this sweetener will definitely guarantee the sweetness you’re looking for! Why not try a different form of sugar this time? You’ll only need 3 drops of this liquid sweetener, and you’re all set! This is another suggested sugar alternative for people on a diet because it has no calories and for people who are into baking cakes and pastries! This is also a nice way to sweeten up your beverages with no difference in taste as with table sugar. 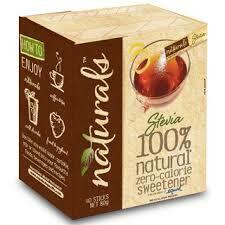 It has no extenders and aftertaste like any other artificial sweeteners. Do not worry about baking cakes because it is heat-stable and dissolves instantly. However, this liquid sweetener may not be ideal for people who use sugar as a springling ingredient in their foods. Naturals brand offers you a sweetener made of raw extracts of the stevia leaf, giving you a delightfully sweet taste in your beverages. It’s 100% natural and has zero calories, great for people who are into diet and wanted to stay fit. It’s also a good choice for Filipinos with diabetes! 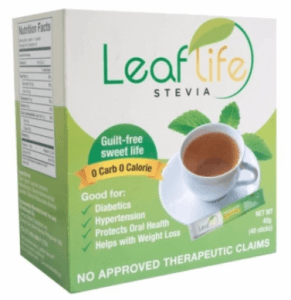 The stevia leaf extracts are purified to let it concentrate, bringing you a naturally sweet taste and a texture closer to that of the regular sugar. The box includes 40 sticks where the sweetness of one stick is equal to one teaspoon of table sugar. However, this sweetener has a slightly bitter aftertaste. The number 1 on our list is a sure thing! 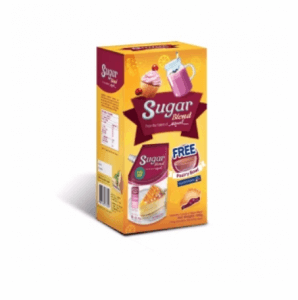 With only half the amount of Equal Sugar Blend compared with the regular amount of table sugar, you will already get that satisfying sweetness with only lesser calories! This is highly recommended for people who have a slow metabolism. As what it highlights, 1 teaspoon of this sweetener is already equal to 2 teaspoons of table sugar, in terms of sweetness. The special blend of sugar and sucralose makes this sweetener versatile that fits almost every food! Although this is great for those with a slow metabolism, too much consumption of this can still lead to weight gain. Although sugar alternatives are not entirely healthy because it is artificially processed, these sweeteners are the best choice to sweeten your drinks and recipes up. They are created to, at least, lessen unhealthy chemicals and add more nutritious ingredients as much as possible. They are a wonderful way to not deprive diabetic and non-diabetic Filipinos of the sweetness of the world!